On Monday, a federal judge announced that the former President of Argentina, Cristina Fernández de Kirchner, would face trial over the alleged cover-up of Iranian involvement in the bombing of the Asociación Mutual Israelita Argentina (AMIA) building, a Jewish community centre, in Buenos Aires in the 1990s. Eleven other former officials from the Kirchner government (2007-2015), including former Foreign Minister Héctor Timerman, will also face trial and four of the accused have now been detained. The federal judge investigating the alleged cover-up, Claudio Bonadio, requested in December that Congress waive the immunity from prosecution of the former president. Cristina Fernández de Kirchner became a senator on December 10 2017, and Argentine senators are protected from being arrested, although they can be tried. Congress has yet to act. In Argentina’s worst ever terrorist attack, on July 18th 1994, a bomb placed in the Asociación Mutual Israelita Argentina (AMIA) building in Buenos Aires, killed 85 people and left hundreds wounded. To date, no one has been charged and the perpetrators remain the subject of speculation. In 2006, Argentine prosecutor, Alberto Nisman, accused the government of Iran of orchestrating the bombing, and Hezbollah of carrying the actual act out. Back in January 2014, when Kirchner was still in office, Nisman issued a request that a judge interrogate President Fernández and her Foreign Minister, Héctor Timerman. Nisman had prepared a 289-page report, which accused the president and foreign ministry of communicating with the Iranian government via diplomatic back channels and offering to cover-up the involvement of five Iranian suspects in the AMIA bombing in return for a deal which would see Argentine grain exchanged for Iranian oil. Argentina at the time was facing potentially crippling energy shortages. In 2013, Iran and Argentina signed a memorandum of understanding, which established a joint investigation into the bombing, and more significantly, allowed Iranian officials to give evidence in Iran. Then, in January 2015, somewhat incredibly, on the day before he was due to present his evidence to Congress, Alberto Nisman, despite his supposed ten-man security detail, was found dead in his 13th story apartment. He had been shot in the head with a bullet from a Bersa handgun, which was found lying beside him. Whether his death was murder or suicide became the subject of fevered speculation, but last year, the Argentine police ruled that his death was in fact, murder. Judge Bonadio has yet to set a date for the trial. This entry was posted in Argentina, Latin America and tagged cover-up, Cristina Fernández, trial on March 9, 2018 by David Doyle. This is a guest post by Rut Diamint (Universidad Torcuato Di Tella) and Laura Tedesco (Saint Louis University/Madrid Campus) based on their newly published book, Latin America´s Leaders, available here. In writing Latin America´s Leaders, we had four objectives: to review the main bibliography on political leadership; to examine the domestic political conditions that impact on the emergence of different types of leaders; to offer a qualitative analysis of interviews with political leaders; and to devise a typology of democratic leaders. Our research[i] was motivated by questions related to the democratic quality of leaders[ii]. Why do democratically elected leaders undermine democracy as soon as they are in power? Is there any relationship between the features of political party systems and the leaders’ democratic quality? Why has the return to democracy not done away with Latin America’s tendency to generate strong leaders? We looked at Argentina, Colombia, Ecuador, Venezuela and Uruguay. While all these countries suffered similar political and economic crises during the 2000s, the outcomes were different: five presidents were expelled in Argentina, three in Ecuador, one in Venezuela and none in Uruguay and Colombia. In Argentina, Ecuador and Venezuela the crises brought about the fragmentation or collapse of the party system and the emergence of strong leaders. Conversely, in Uruguay the 2002 crisis neither affected the political party system nor became a major systemic crisis; the traditional political parties lost the elections and the Frente Amplio won the presidency for the first time since its creation in 1971. In Colombia, political parties underwent an important transformation following the political reforms in 1991 and the 2003, and political stability with a high degree of institutionalization allowed a strong leader in the form of Álvaro Uribe to come to power – yet these features also helped to control his political ambitions. We conducted 285 interviews with former Presidents, Vice-Presidents, MPs, mayors and party leaders. The aim of the interviews was to learn how leaders interpret democratic quality and how far they perceive themselves as the architects of democracy. Our interviewees talked about powerful presidents who concentrate power and, in many cases, usurp power from other institutions. Many presidents in Latin America dis-empower institutions to empower themselves. The qualitative analysis of the interviews showed two different groups: in Argentina, Ecuador and Venezuela the analysis of Néstor Kirchner, Cristina Fernández de Kirchner, Rafael Correa and Hugo Chávez dominated the interviews while in Uruguay and Colombia our respondents examined political leadership together with the role of political parties, state institutions and historical processes. One of our conclusions is that the degree of institutionalization of the political party system influences the type of leader that emerges in a given country. [iii] We developed a typology based on three elements: the political context, the ability of the leader to lead and the impact of the leader on the quality of democracy. Cutting across these elements are three dimensions of leadership: the relationship between the leader and the rule of law; the leader’s efforts to achieve consensus or in contrast to provoke polarization; and the leader’s methods to increase power. Our typology highlights leaders’ democratic quality by looking at their attitude to rules (obey, challenge or manipulate) to opposition (polarize, tolerate or build consensus) and to power (share, concentrate or usurp). Democratic-enhancers include leaders who push for the building or reinforcement of democratic institutions, accept the limits on power imposed by state institutions, respect and promote democratic rights and civil liberties, and leave their posts on time. This type of leader invariably belongs to a political party in which he has developed his career. The ambivalent democrat respects people’s rights, works in a cooperative manner but seeks to accumulate personal power. Unlike the democratic-enhancer they respect but do not strengthen democratic institutions. The ambivalent democrat can actually end up weakening democracy in his bid to increase his own personal power. The soft power usurper navigates between challenging and accepting the rule of law and state institutions. The historical context becomes crucial since it can either facilitate or block the leader´s ability to gain autonomy. In crises, this type of politician can take advantage to reduce other institutions’ maneuverability. However, at some point, a brake is applied by his party, the judicial, the legislative power or even societal pressure. The soft power usurper then retreats in the hope of more favorable conditions arising that will enable him to fit the political game to his own personal or collective aims. Power-usurpers accumulate power by absorbing it from other state institutions, either by minimizing the role of the legislature and/or by undermining the independence of the judiciary. Power-usurpers are democratic leaders who have been elected in free elections. However, some end up manipulating constitutional or electoral instruments to increase personal power, thus worsening the quality of democracy. Power-usurpers believe that they are the only legitimate representatives of their people. Politics becomes embedded in them. They generally aspire to perpetuate themselves in power. In Uruguay most leaders are democratic enhancers. In Colombia, Álvaro Uribe was a mix of ambivalent democrat and soft power usurper, while Juan Manuel Santos is a democracy-enhancer. In Argentina, Néstor Kirchner and Cristina Fernández de Kirchner were soft power usurpers. In Ecuador, Rafael Correa combines elements of a power usurper with a soft power usurper. In Venezuela, Hugo Chávez was the archetype of a power usurper: he challenged the rules, polarized society and maximized his power. This typology distinguishes four ideal types that measure leaders’ degree of democraticness. 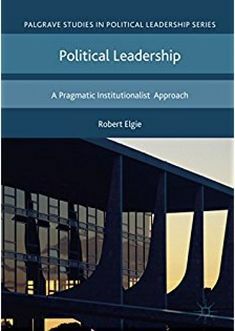 It offers a framework for how leaders´ political influence and democratic quality can be studied in other parts of the world. And it can serve as an instrument to promote democratic-enhancers and avoid the rise of power usurpers. [i] The research was done between 2009 and 2012 and was financed by Foundation Open Society Institute, Washington DC. [ii] The quality of democracy has been debated in Guillermo O´Donnell, Jorge Vargas Cullell and Osvaldo Iazzetta (2004) The quality of democracy. Theory and applications (Indiana: University of Notre Dame Press) and Pippa Norris (2011) Democratic Deficit. Critical Citizens Revisited (Cambridge, Cambridge University Press). [iii] The degree of institutionalization of political parties has been analyzed by Manuel Alcántara (2004) ¿Instituciones o máquinas ideológicas? Origen, programa y organización de los partidos latinoamericanos (Barcelona: Universidad Autónoma de Barcelona); María Matilde Ollier María Matilde (2008) “La institucionalización democrática en el callejón: la inestabilidad presidencial argentina (1999-2003)”, América Latina Hoy, vol. 49, pp. 73-103 and Scott Mainwaring and Timothy Scully (eds.) (1995) Building Democratic Institutions: Party Systems in Latin America (Stanford: Stanford University Press). Rut Diamint is professor of international relations in the Department of Political Science and International Studies at Universidad Torcuato di Tella, researcher at the National Council for Scientific and Technological Research (CONICET) and a member of the Advisory Committee of Club de Madrid and the UN Secretary General Advisory Board on Disarmament Matters. She has been visiting professor at Columbia University, and has received scholarships from Fulbright, the Woodrow Wilson International Center for Scholars, the PIF programme of the Canadian government, the Tinker Foundation, the UN Commission for Peace Studies and the US Studies Center for US–Mexican Studies, University of California at San Diego. Laura Tedesco is associate professor of political science at Saint Louis University, Madrid Campus, and at Instituto de Empresa, Madrid. She has received scholarships from the British Council, the Foreign and Commonwealth Office and CONICET (Argentina) and grants from the British Academy and the Open Society Institute. She has taught at Universidad de Buenos Aires, FLACSO, the University of Warwick and the University of East Anglia. She has been a consultant for UNICEF and worked as an analyst for FRIDE, Spain. This entry was posted in Argentina, Colombia, Ecuador, Latin America, Venezuela and tagged acting president, Leadership, Party system, Uruguay on December 11, 2015 by David Doyle. In the last decade, federal expenditures in public housing, sanitation, roads, and urban works rose by 108% in Brazil and 429% in Argentina, becoming one of the most important redistributive tools in the hands of the federal government. Those funds represented almost 8% of the total budget in Argentina and 3% of the total Brazilian budget. Investment in public infrastructure has a highly redistributive impact and constitutes a budget item over which the federal government has large discretion. Redistribu­tive funds are those that can generate potentially large economic and social externalities in the loca­lities or regions where they are invested. The regional distribu­tion of infrastructure funds is a mechanism through which money can be redistributed from the regions that pay taxes that finance these funds to others in which the investment is actually made. In a recent paper (Gonzalez and Mamone 2015), we studied the main factors that affect distributive politics in Argentina and Brazil, two highly unequal presidential federations in Latin America and where redistribution has historically been a sensitive and politically divisive issue. Using original data on federal infrastructure spending for the 24 provinces in Argentina and the 27 states in Brazil for the period 1999-2011, we asked what is the role of presidents and governors when it comes to allocating federal monies to subnational units in developing federal democracies. Although most researchers recognize a crucial role to presidents, legisla­tors, and state politicians, we are limited in our under­standing of the factors that shape distribution. Existing scholarship studies the federal resource allocation across regions by focusing almost exclu­sively on the role of congress and its internal ope­rations, such as committee composition and par­tisan configuration. However, more recently, some studies have begun to explore the influence presidents have over the allocation of federal outlays (Larcinese et al., 2006; Berry et al., 2010). But there is little agreement on how presi­dents influence the distribution of federal outlays. Some argue presidents influence the budgetary pro­cess by following electoral expectations: they allo­cate more funds in districts were they expect larger electoral benefits and returns (Dixit and Londregan 1996). In contrast, Cox and McCubbins (1986) argue that the optimal strategy for risk-averse candidates is to dis­tribute to their reelection constituency and over-in­vest in their closest supporters to maintain existing political coalitions. In Latin America, most presidential systems put lar­ge powers and responsibilities in the hands of pre­sidents. Presidents in Latin America can introduce bills, veto laws, legislate by decree during emergen­cies, and have preeminence in the making of annual budgets. As a result, presidents have been endowed with larger legislative powers to get their policy agenda passed and this has helped the executive to win greater leve­rage vis-à-vis the legislature over time. We therefore claim that presidents prefer to invest in districts where their party is strongest, not to shore up swing areas, and certainly not to waste money where the party does not have a chance. Although this argument stresses the relevance of partisan links, it does not identify which partisan links are relevant to explain distributive outcomes: it may be those between pre­sidents and federal legislators, national and regio­nal party leaders, federal ministers or high-ranking federal officials and state politicians, or between presidents and governors. In contrast, the in­teraction term between the swing and allied variables for the Brazilian sample is statistically insignificant and moves in the opposite direction than expected. Scholars claim that gover­nors are indeed influential (especially before 1994) due to the centrifugal configuration of Brazilian fe­deral institutions, electoral laws such as the open-list proportional representation system (which weakens party leadership and promotes fragmentation and regionalization of the party system), the decentra­lized organization of national parties, the powers governors have over policymaking, their control of resources for patronage and pork, and the influen­ce governors have over career prospects for federal legislators. However others contend that governors’ influence has been increasingly weakening since the 1988 and 1994 constitutional reforms: from the legislative powers of the president and the cen­tralized legislative organization in congress, to structural factors such as pro-poor growth that favored the Left at the national level and eroded conservative parties’ support at the local level. In our results for the Brazilian case, the coefficients for allied and secure districts move as expected. Allied and secure states tend to receive more funds, signaling that presidents compensate secure districts, irrespective of them being in the core of the presi­dential coalition. Our results also indicate that infrastructure distribution in Argentina is mainly decided by the national and provincial executives and not the federal legislatu­re. Congressio­nal committees do not affect the outcome, but con­gressional delegations do matter in Brazil. Individual and collective amendments are the key negotiating tool between presidents and legislators and a mechanism throu­gh which the president crafts legislative support in exchange for pork in both chambers of congress. Furthermore, we observe that elections are not relevant in explaining distribution in either of the two cases and that presidents are mostly motivated by political considerations. How can we explain the differences between Argen­tina and Brazil? Why are governors more relevant in Argentina and congressional delegations more in­fluential in Brazil? We can only risk some hypotheses that need to be further developed and analyzed systematically. In Argentina, governors have a large influence over the forma­tion of legislative party lists and exercise a deci­sive influence over provincial delegations in the federal congress. Consequently, presidents need to negotiate legislative support with governors, especially tho­se in their coalition. Moreover, presidents depend on governors as they are more effective in mobilizing the electorate and building up federal electoral support than national party delegates. As a result, some re­gions of the country may receive federal funds not only from their congressional representatives doing constituency service. Presidents may also compen­sate governors for their territorial political support and their capacity to deliver votes and seats. In relation to the differences in the relevance of congress, one possible answer could point out to the degree of concentration of political power in the hands of the president and the need to build up legislative coalitions. When presidents get enough political support from their own parties (in terms of seats and discipline) to pass crucial legislation in congress, they may have fewer incentives to form broad legislative coalitions. Under those circumstances, presidents would be more likely to concentrate decisions on how to distribute and to force cooperation from the legislature. On the contrary, when presidents do not get enough political support from their own par­ties and need to build up legislative coalitions with other parties, congress will be more likely to play a more relevant role. After all, this is the crucial arena for inter-party bargaining. Presidents in Argentina have received 2.5 times more support in congress from their own parties in the period under study than in Brazil (42.4 percent versus 17.2 percent). We also found that programmatic factors, such as equity and efficiency criteria, play a secondary role in distributive politics, especially in Argentina. Most of the efficiency criteria are not relevant factors to explain the allocation of infrastructure funds in the two ca­ses. Only urbanization rate moves as expected and receives empirical support in Brazil. In Argentina, the statistically significant criteria move in the op­posite direction than expected: more industrialized provinces receive less federal infrastructure funds. In Brazil, states with a larger share of poor people receive fewer funds but so do richer states in terms of per capita GDP. Combined results for poverty and income in Brazil seem to indicate that more overre­presented, less populated, middle and lower income states with fewer average poor households received more public works. Northern and Midwest states are the ones that resemble those structural characte­ristics. Why does Brazil seem to be more programmatic than Argentina? Why does Argentina not seem to clearly follow equity or efficiency criteria in the distribu­tion of federal infrastructure spending? Possible clues could point to some usual suspects: institutions, parties, or the bureaucracy. It may well be that the president has formal rules that allow him/her more discre­tion in Argentina than in Brazil. In Argentina, the president has legal authority to reallocate budget transfers. This discretion has been used to form and sustain crucial territorial governing coalitions, to some extent crafted through the distribution of public infrastructure spending. The question would be, then, why does Argentina have these rules and not Brazil? It may also well be that Brazil has more programmatic parties in government (the Workers Party) than Argentina (the Justicialista Party, whi­ch is more ideologically heterogeneous and more fragmented territorially), and this obviously in­fluences programmatic decisions in government. Or we can also point to the state and its bureaucracy, and claim that merit-based bureaucratic planning offices in Brazil have more say and influence over presidential decisions than in Argentina. Lucas González holds a PhD in political science at the University of Notre Dame. He is researcher at the Na- tional Council for Scientific and Technical Research (CONICET) and professor at the Universidad Católica Ar- gentina (UCA) and Universidad Nacional de San Martín (UNSAM) in Buenos Aires, Argentina. He is currently a postdoctoral visiting fellow at the Center for Latin American and Caribbean Studies, Watson Institute, Brown University. He has coauthored two books and written articles, the last ones published in The Journal of Po- litics, Latin American Research Review, Latin American Politics and Society, Publius: The Journal of Federa- lism, América Latina Hoy (Spain), Revista de Ciencia Política (Chile), and Desarrollo Económico: Revista de Ciencias Sociales (Argentina). Email: lgonzalez@unsam.edu.ar. Miguel Ignacio Mamone is PhD student in political science at the Universidad Torcuato Di Tella and an Assis- tant Professor at the Faculty of Social Sciences, Universidad Catolica Argentina. He holds a doctoral scho- larship at the National Council of Scientific and Technical Research (CONICET) of Argentina. He specializes in Latin American politics, federalism, public spending, and redistribution. This entry was posted in Argentina, Brazil, Latin America and tagged Argentina, Brazil on July 14, 2015 by Robert Elgie.